The first international competition that aims at raising public awareness of the seriousness of landmines and unexploded ordnances (UXOs) contamination, fostering robotics research and its applications in the area of humanitarian demining in the world and actively contribute toward the achievement some of Sustainable Development Goals (SDGs) adopted by UN Member States. 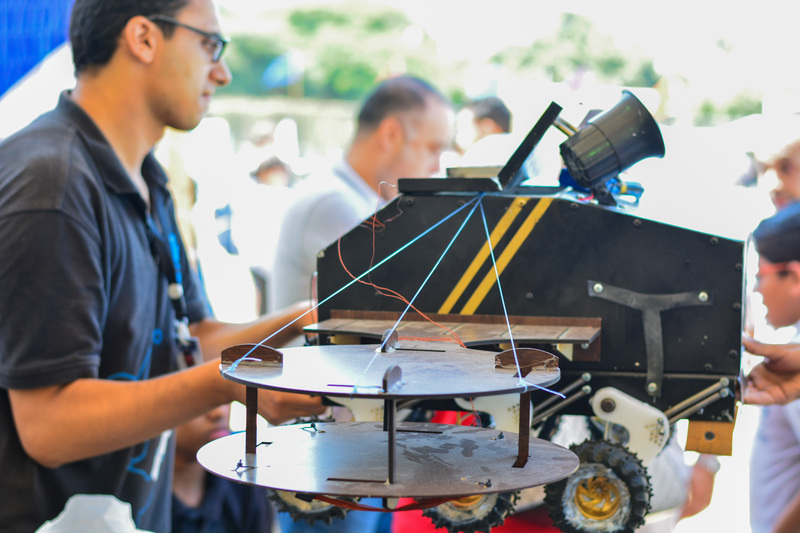 In this competition, each participating team constructs a teleoperated/autonomous unmanned ground/aerial vehicle that must be able to search for buried and surface-laid anti-personnel landmines and UXOs. The position and the type of each detected object are visualized and overlaid on a minefield map. 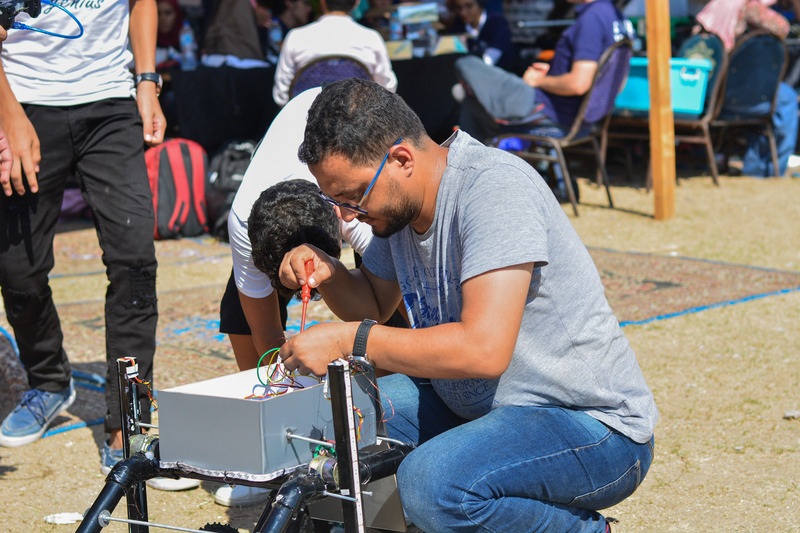 The ultimate goal of the Minesweepers competition is applying robotics technology to solve landmines problem, which matches with the new strategic mission of IEEE, “…to foster technological innovation and excellence for the benefit of humanity”. To serve as an educational and a research forum to provide efficient, reliable, adaptive and cost-effective solutions for the serious problem of humanitarian demining in many affected countries in the world, the competition motivates the participants to create new companies and industries geared towards minefield reconnaissance and mapping technologies. Moreover, the applicability of the robotic systems presented in this competition can be extended to a wide range of other applications such as security and surveillance, search and rescue, health monitoring of civil infrastructure, pipeline monitoring, and environment monitoring. We work to be a part of making an impact on the world; to find solutions, implement creative and useful ideas, and encourage youth to take step forward in changing the world to a better one. Detection and removal of landmines is, at the present time, a serious problem of political, economical, environmental and humanitarian dimensions in many countries over the world. The simplicity and cost-effectiveness of mines are major factors in explaining the widespread use of mines throughout the numerous countries that are now faced with dealing with landmines & explosive remnants of war (ERW) contamination problem. These landmines make no distinction between friendly or enemy, children or animals. The civilian-purpose demining or humanitarian demining aims at finding and removing abandoned landmines without any hazard to the environment. While basic landmine detection and neutralizing theologies remain almost the same, landmine technology improved dramatically. Moreover, the humanitarian demining activities carried-out to remove landmines and unexploded ordnances from the vast contaminated areas are not on the same level of the problem. More efficient ways to detect and locate landmines and UXOs are needed. This is one of the main objective of Minesweepers competition. One of the main objectives of Minesweepers is to provide real hands-on experience for the competitors to discover the robotics world, explore the new technologies and meet different teams around the world through the competition journey which starts from designing a robot, making technical report, joining the field to compete with many other teams from different cultures and ages, also having educational discussions with professional judges and technical support team. The journey doesn’t end with winning Minesweepers, it continues with the participants until they can achieve their own goals. That journey aims to one goal which is changing the world into a landmine free one by the teams’ experience which can make the participants from all categories (academia, juniors and industry) capable of being leaders at the different robotics industries to create and implement innovative technological solutions for the benefit of humanity.